Visit a Midcoast Maine Maple Sugarhouse during sap boiling time for an unforgettable experience. Find Maine Maple Producers and useful information about Maple Syrup grades, storing tips, recipes and history. ME Living.com thanks you for visiting and reminds you to call in advance of your visit to confirm hours of operation and schedules of events. Ask us about ME Maple Producers or share your Maine Maple Sugaring comments. 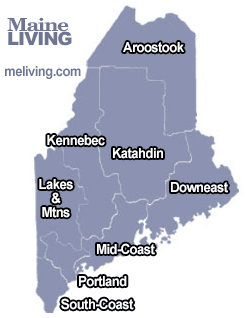 To feature your Maine Maple business, contact us.